By Jim Drevescraft One of the amazing things about watching an elite athlete running a race, even a marathon, is that will to put forth a final burst of energy to achieve a victorious outcome. 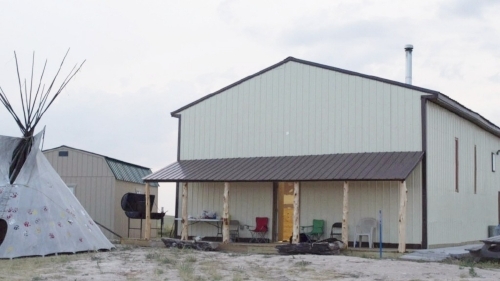 For the past few years, One Spirit and the Lakota people of the Pine Ridge Reservation have been running a marathon effort to complete the Charging Buffalo House: a fully-equipped, USDA-compliant meat processing facility that will enable the Lakota to process buffalo and other traditional meats to provide sound nutrition to people so desperately in need. Completion of the Charging Buffalo House will also offer an opportunity for employment and earnings for the Lakota as it becomes possible to produce products for commercial sale, in addition to supplying tribal members with a greatly enhanced source of healthy protein. Over $90,000 has been raised and spent getting us this close to the finish line, and we need one last push to sprint to a victory that can mean so much to the Lakota. 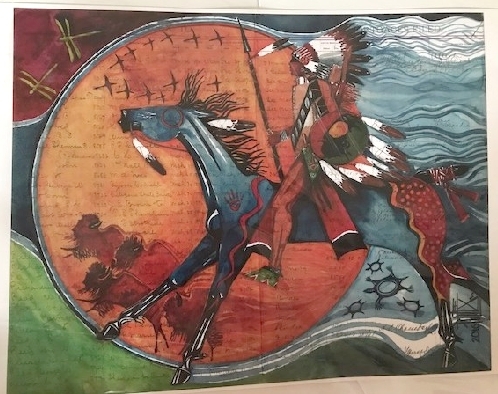 This is not a handout, but a hand up to help the Lakota help themselves. Bamm Brewer and his crew are putting the finishing touches on the facility as you read this: applying necessary wall and floor treatments mandated by USDA regulations to ensure full legal compliance and vital sanitation as the Charging Buffalo House, indeed, charges into completion. One last, rather costly piece of equipment is all that stands between the dream of helping the Lakota realize the incredible benefits of their own facility to process traditional foods to offer enhanced nutrition, employment, and potential profits so urgently needed: a commercial walk-in cooler and cooling system to facilitate safe handling of buffalo and other meats. If one starts investigating the cost of this type of equipment, which has to comply with USDA regulations to be employed legally, one will quickly discover that the prices are very substantial---to say nothing of the cost of shipping and installing the cooler. The Lakota have worked so hard to make the Charging Buffalo House a reality, from sweat equity to donations by Lakota artists to try and raise funds to reach the finish line this season. 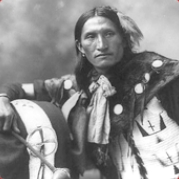 Fall is the harvest time for buffalo and for other game taken by Lakota hunters, so the need for your generous donations is acute to enable One Spirit and the Lakota to get the Charging Buffalo House up and running immediately. This is a special moment that calls for a special extra donation to realize one of our most important goals and reward the hopes of the Lakota tribe. We know that our loyal donors have always stood by the Lakota, and that we can dig deeper to achieve this victory for the people. Let's join with Bamm, Joel, and all the Lakota and bring the Charging Buffalo House across the finish line at last, and in time for usage as soon as possible!